REASONABLE RATES WITH WORKMANSHIP GUARANTEED LICENSED & INSURED FREE ESTIMATES!! HOME MY WORK REFERENCES PRICING What's My ANGLE? "Quality work and customer satisfaction are the cornerstones of my company" 100 % Customer Satisfaction RIGHT away. Jobs done RIGHT the first time. There is no second time because how are you going to find the time to do it RIGHT the second time. So get the RIGHT ANGLE on your tile with... Hayes Ceramic Tile SPECIALIZING IN CERAMIC TILE INSTALLATION KITCHENS Countertops Back-Splashes Floors Trim BATHROOMS Showers Floors Ceilings Walls ENTRY WAYS THRESHOLDS FIREPLACES GROUT CLEANING GROUT STAINING REASONABLE RATES WITH WORKMANSHIP GUARANTEED LICENSED & INSURED FREE ESTIMATES!! Not in your budget right now to get new tile??? Freshen up your grout!!! It's like having new tile! You can choose any color you want. It will last a lifetime because it's an epoxy based material. I do a lot of this type work. It's another great option. Archaga Tile Corp., located in Charlotte, NC, is your trusted resource for all your tiling needs. We offer some of the most versatile and quality tiling work in the area and look forward to providing your home or business with affordable tile work. We are appropriately licensed to service all of your tile and flooring needs and carry the proper insurance for our clients' peace of mind. Our services Include: Bathroom remodeling Office building construction and remodeling Kitchen remodeling Flooring installation All tile work projects Call our professional staff today at Archaga Tile Corp to schedule a time to update your home or office! For over 50 years, Ceramic Tile Remodeling has served commercial & residential flooring needs in Charlotte, NC and surrounding areas. We work within a 500 mile raduis of Charlotte, NC. We specialize in commercial hard tile installations although we often furnish and install commercial VCT, carpet, vinyl base, & LVT. At Ceramic Tile Remodeling you can be confident that you are receiving the best advice from our expert staff. We refuse to compromise integrity, quality of work, or commitment to our customers. Well-seasoned estimators are ready to give you quotes in a timely and professional manner, and multiple crews of trained, experienced craftsmen are ready to perform high quality on-site work in a safe and timely manner. No job is too big or small. We have experience with installations in commercial up-fits, hospitals, industrial facilities, hotels, multi-family developments, restaurants, military facilities, exterior patios and facades. Our company is licensed, bonded, and insured and we would be proud to work with you or your firm on future projects. Our vision is our purpose for our company. It gives us a sense of direction and helps us to focus on what is really important... offering the best value and service to our customers within a safe and sustainable working environment. The Carolina's LARGEST Tile, Hardwood & Mosaics Selection! LET US EARN YOUR BUSINESS East Coast Countertops has been in business for more than 15 years. We put granite in all types of homes and business, from your million dollar mansion, to the starter home you’re looking to breath new life into. Our specialty is Granite Countertops and Kitchen Remodels In Charlotte, Matthews, Indian Trail, North Carolina as well as surrounding counties. Our warehouse and showroom is conveniently located in Waxhaw, North Carolina. We also have a warehouse located in Pittsburgh, Pennsylvania. HASSLE FREE ESTIMATES Our trained estimators can come to your home and give you an estimate the same day. We will take all the measurements needed, discuss granite, cabinets and accessory options. Our goal is to understand your design ideas and help you find a countertop that matches your style and budget, we’ll take care of the rest. Tom's Tile is both a tile sales and installations company focused on bathroom and kitchen remodeling. Locate in Monroe NC, just south of Charlotte. Serving both North Carolina and South Carolina. We are a company located in Concord, N.C. We have worked in Concord and through out surrounding counties since 1998.Our company guarantees that our customers will be 100% satisfied with the quality craftsmanship that we provide for our customers. 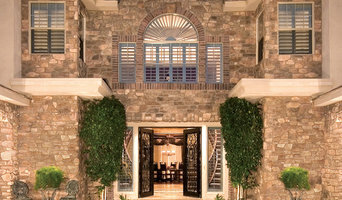 We have completed over 800 custom tile projects, including Nascar Homes, celebrity homes and also each year we are involved in the Susan G Coleman Build for the Cure Dream Home. We take pride in our work and provide the same quality in your house as we would our own. Charlotte’s Source for Premium Custom Countertops The Countertop Source has been locally owned and operated for 25 years. The Countertop Source at Surface Products offers the greater Charlotte area’s largest selection of countertop brands including Artisan Granite (the ONLY granite with a lifetime warranty), Corian® Solid Surface, Heritage Wood, Ceasarstone®, Zodiaq®, Cambria, Quartz, and much more. Surface Products specializes in new kitchens and remodels as well as commercial surface fabrication. Choose Surface Products in Charlotte as your residential or commercial countertop fabricator and we will exceed your expectations in quality, service, and affordability. Jon Lancto Named 2013 Fabricator of the Year by Stone World Magazine Surface Products CEO Jon Lancto was recently named Stone World Magazine’s Fabricator of the Year at the StonExpo/Marmomacc Americas 2014 in Las Vegas. Ceramic tile installations in the greater Charlotte area and surrounding counties. Sales and design assistance, Ceramic, porcelain and natural stone installations on floors, walls, ceilings, backsplashes, showers, countertops, fireplaces, porches, patios, Glass block and brick paver installations. 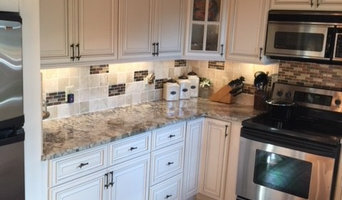 Pro Top Counters Inc. is made up of a savvy Concord, NC based kitchen remodeling team, who can transform your kitchen into the perfect space you desire. We're a locally owned and operated company that values honesty and integrity, and treats your home as though it were our own. Let us work our magic! With over 20 years of experience, Tommy Tile has been trusted by not only large companies such as Apple Retail & P.F. Chang’s but our hometown neighbors as well. With Tommy Tile you can be sure you are getting quality, lasting work at an affordable price. Call or email at any time for more information about our services. Our stonemasons are artists, with a passion for finding the inherent beauty in stone and a commitment to exacting, behind-the-scenes detail work. Our design for your project will comprehensively consider color, texture, size of individual pieces, patterns, accents – all of the elements that together make a stunning presentation. Cleveland Floor Covering was founded in 1966, We have been providing first-quality flooring and outstanding service to Cleveland County and surrounding areas for over 40 years, new construction, remodeling and multi-family market segments. Come see us before you start your next home project and take advantage of our professional, experienced team and the best prices in the area. We’ll make your shopping experience a pleasant one! Take a look at our new selections of hardwood flooring, vinyl, and carpet. You are welcome to browse all of our quality manufactures from the comfort of your own home. When you see something you like, call us, email us or come see us with your selection. We look forward to being your flooring provider for years to come.